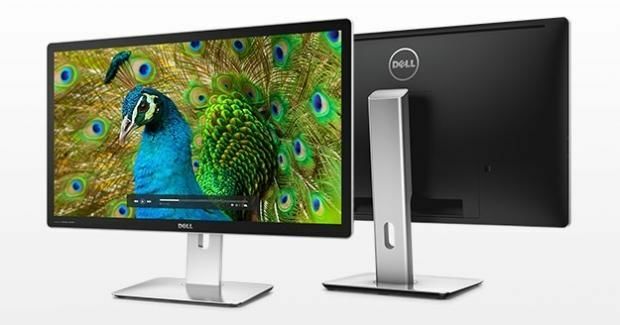 If you’re a graphics or design professional in the entertainment, film, photography or engineering field, you’ll immediately recognize the benefits of a 5K monitor with Dell PremierColour. Details this incredible allow you to view your work with a whole new level of insight. 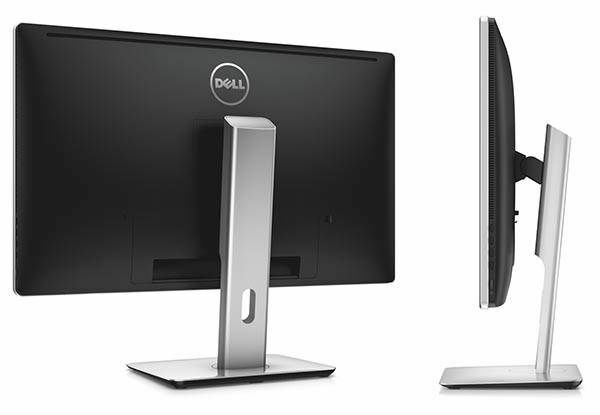 Consistent, accurate colours: Right out of the box, Dell PremierColour delivers factory-tuned 99% AdobeRGB and 100% sRGB coverage, impressive grayscale tracking and a colour calibration factory report certifying that colours are true-to-life and accurate with an extremely small deltaE of less than 2. Excellent colour depth and colour gamut: Enjoy a large range of colours and colour detail with a wide colour gamut. High-capacity 12-bit internal processing enables up to 1.07 billion colours, distinguishing low grayscale tones and enabling a tremendous level of detail, even in dark areas. Use the Custom Colour mode to change colour parameters to your exact needs. Tune and tweak onscreen colours by utilizing a wide range of colour parameters such as RGBCMY saturation, RGBCMY hue, RGB gain and RGB offset. For even greater control and precision calibration, the UP2715K comes with a 12-bit user-accessible 3D LUT (look-up table), which is accessible via the Dell UltraSharp Colour Calibration Solution software when used with the optional X-rite iDisplay Pro colourimeter. Incredible clarity of an edge-to-edge display combines with high-power, high-end stereo speakers for an immersive audio and video experience. Improved clarity and easy cleaning: Optical bonding and an anti-reflective coating eliminate reflection from two surfaces — the LCD panel itself and the protective glass layer in front of it — allowing more light to be transmitted and dramatically improving clarity, vividness and contrast. An anti-smudge coating allows you to easily clean away fingerprints. High-fidelity Harman Kardon sound: Two down-firing speakers tuned to perfection by Harman Kardon and rated at an impressive 32W (2 x 16W) provide a beautiful soundscape. Take in the fine, almost infinite, detail provided by the Dell UltraSharp 27 Ultra HD 5K Monitor – UP2715K in total comfort, thanks to its wide-ranging adjustability. The included stand enables tilt, swivel and height adjustments, along with pivot capability. Connect seamlessly with Mac and Windows PCs, along with a wide range of digital peripherals. One high-current USB 3.0 port found on the back of the monitor supplies twice the power for charging and powering BC1.2 compatible USB devices. 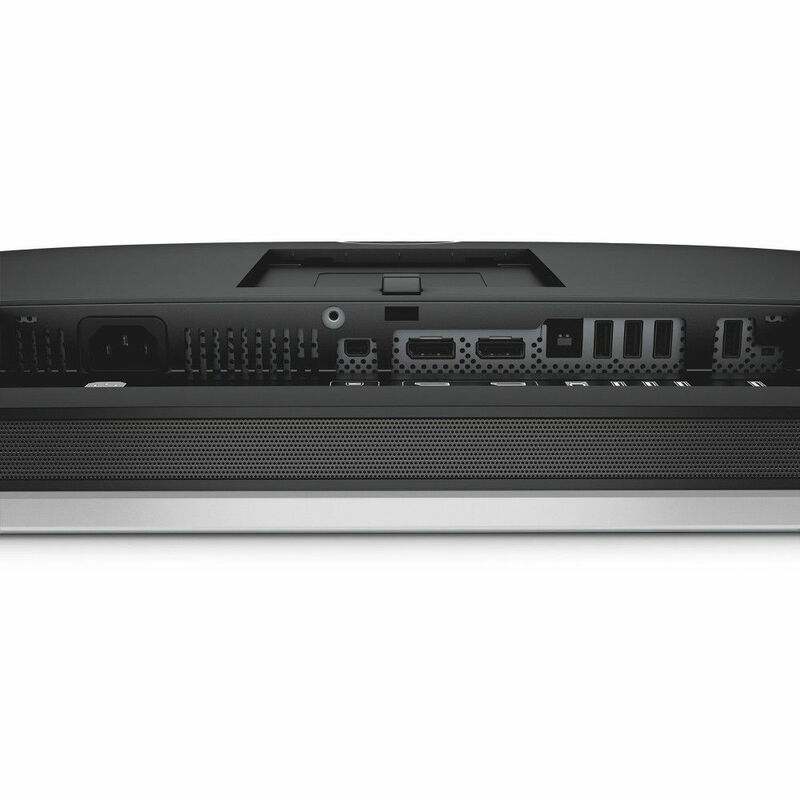 You also get one upstream USB 3.0 port and five downstream USB 3.0 ports, two DisplayPorts (for 5K support), a mini-DisplayPort (for 4K support) and a media card reader. 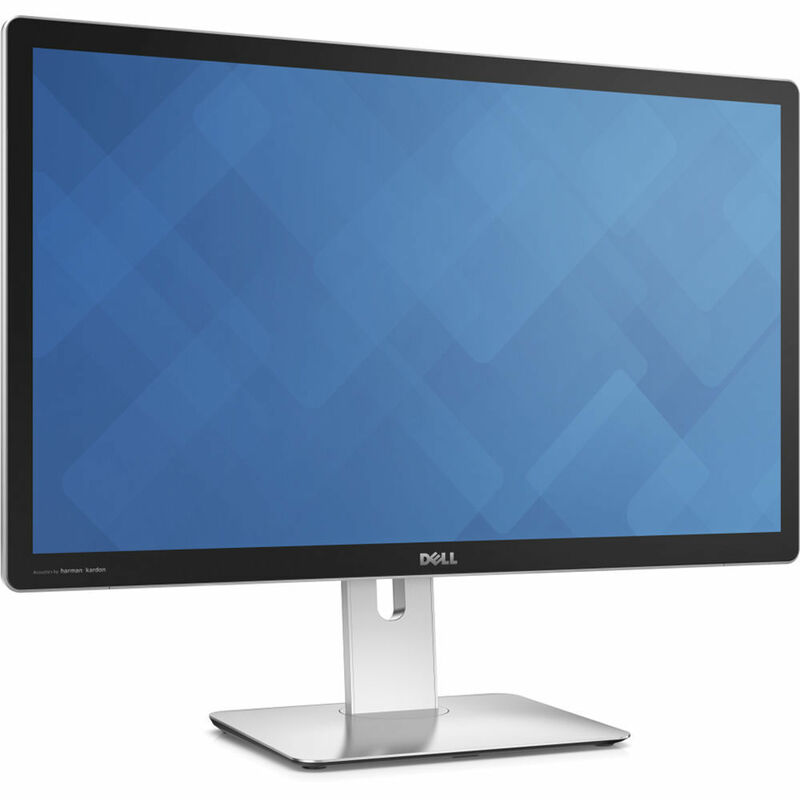 The Dell UltraSharp 27 Ultra HD 5K Monitor – UP2715K meets thelatest regulatory and environmental standards. Add flexibility to the way you work with a monitor arm that lets you raise, lower, pivot or pull your monitor closer quickly and easily as needed throughout your day. Get precise colours that match your work with what you see onscreen using a fast and flexible colourimeter. 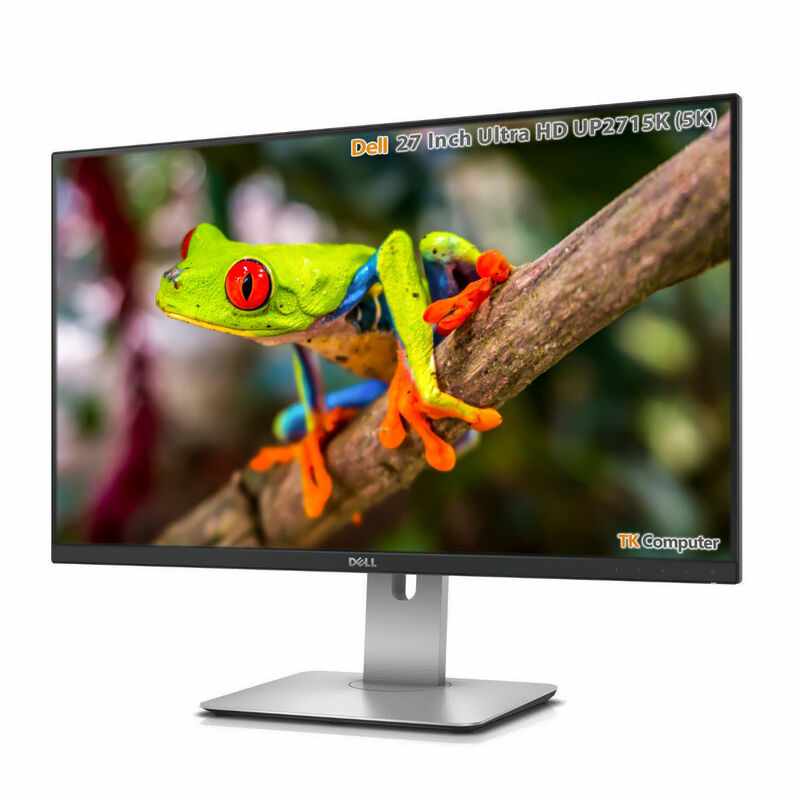 Because it is backed by a 3-Year Limited Hardware Warranty and Advanced Exchange Service, you can purchase your Dell UltraSharp 27 Ultra HD 5K Monitor – UP2715K with confidence.